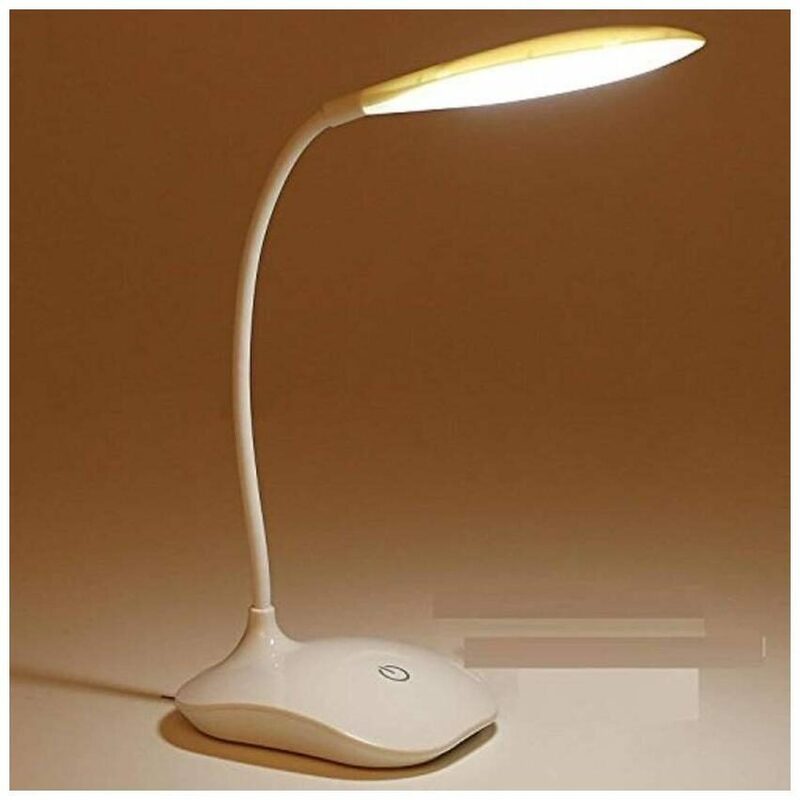 LIGHTS UP YOUR LIFE WITH DESK LAMP! Eye Protection With advanced luminous technology, there is no dazzle light and stroboflash. It is so soft to protect your eyes. Touch Sensor Switch, 3-Level Brightness Adjustment, Goose neck 360-Degree Adjustment. Eco-friendly With Non-toxic silicon material, it is suitable for kids, adults, and senior. Energy Saving and Long Lasting Battery: Last 4 hours in brightest and 8 hours in dimmest. Portable Design With its small and compact design, it can be carried anywhere you like.